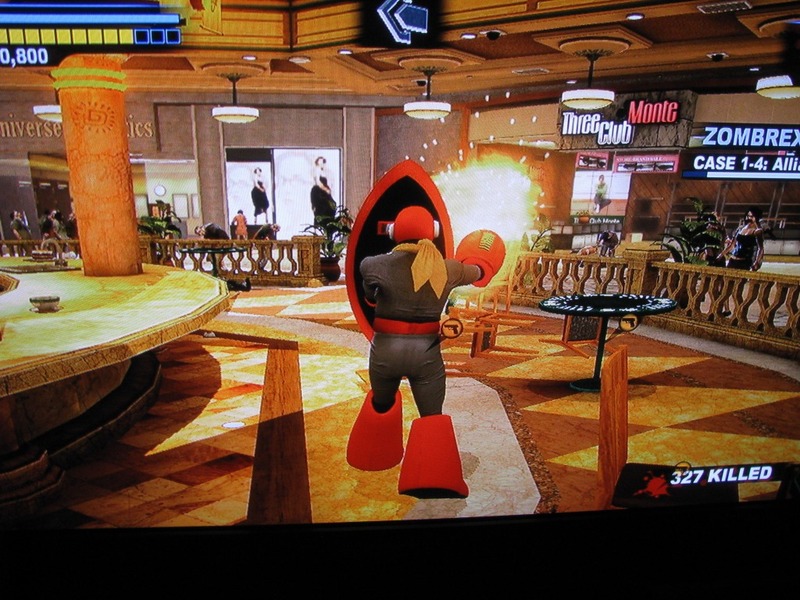 The original Dead Rising featured a full-fledged Mega Man X costume (complete with Mega Buster) that pretty much sold the game to Mega Man fans. Today, Capcom gives us another reason to pick up the recently released Dead Rising 2: Off the Record... Proto Man. 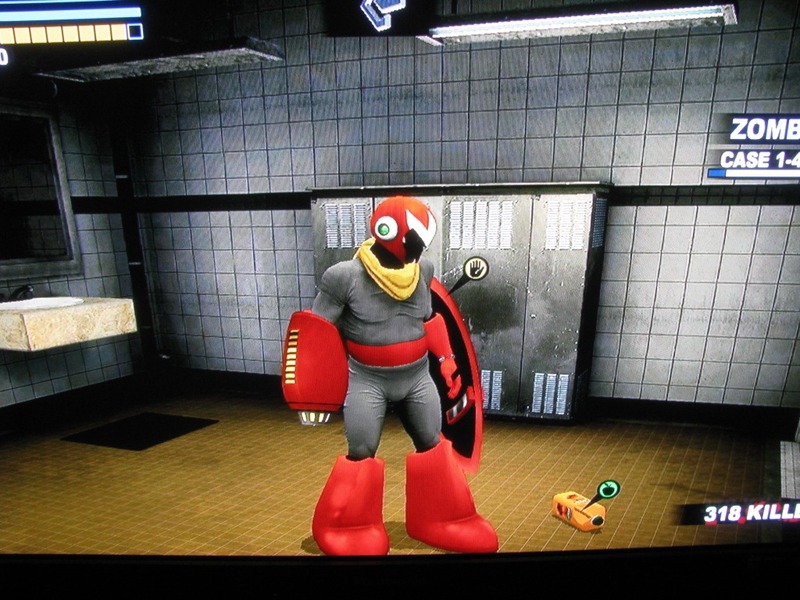 That's right, there's a Proto Man costume in the game. After collecting a specific set of items, the suit becomes fully available, allowing players not only the ability to look absolutely awesome but also take advantage of the red rocker's Proto Buster! Protoman Blaster and Shield: Finish the game with an S Ending (Beat Overtime). Protoman Boots: Find them in the store "The Man's Sport" in Uranus Zone. Protoman Helmet: Save Jack in the "Welcome to the Family" case, then beat him in strip poker in the "Ante Up" case. ProtoMan Suit: Get Bronze or better on all challenges in Sandbox Mode. Oh, look! We have some footage as well. Vaporizing zombies never looked so good. Interesting, but eh. I found Dead Rising boring and I'm in no hurry to pick DR2 or Off the Record. Very nice. I bought this game on release day about 3 days ago and have been playing it every night. DeadRising is always fun stuff. 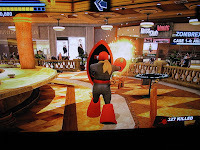 Frank West will use this Proto Man costume like he did in TvC! Frank West - "Here I come! PROTO BUSTERRRRR!" Costume sure, but something about it looks a bit off. But this is neat, yes. Anyone other than me notice that the Buster shot noise is the same noise from MegaMan Legends? IIRC, this game was in development before legends 3 was canned. they probably did this as a promotional thing. either that, or they just hate mega man fans. can't tell. it'd be nice if they'd give an official word on this. of course, if they did, and said it was because of legends 3 coming, people wouldn't believe them. and if they said it is because they hate mega fans... well we all know what would happen. Sorry, delete last comment by me.